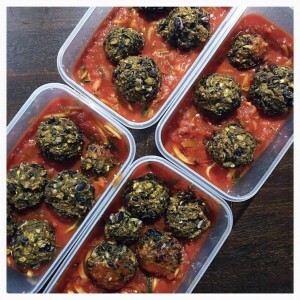 The vegan meatballs are a good balance of protein, healthy fats, low GI carbs and fibre. Making it a nourishing balanced meal. Pre-heat oven to 180 degrees. Line a large baking tray with baking paper. Place black beans, chopped mushrooms, almond meal, eggs, and seasonings into large bowl. Mash all ingredients together until thoroughly combined. The beans should be mashed but still partly intact. Roll mixture into appropriate size balls (I golf ball size) and place on the baking tray. Bake for approximately 15mins, being careful not to let them dry out. Meanwhile, in a large saucepan, saute the onion and garlic with olive oil on low heat for 5 mins. Add in tomato puree, herbs, salt and pepper and simmer on low for 10mins. 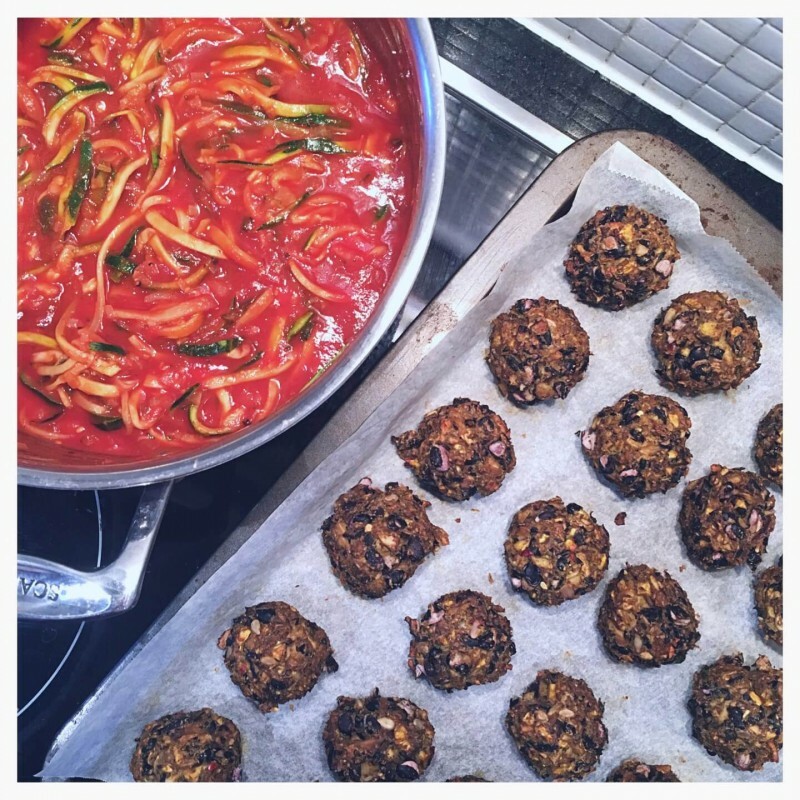 Add in spiralised zucchini and simmer for a further 5 mins to soften the zucchini.